Ready to turn over your ride to RMH? 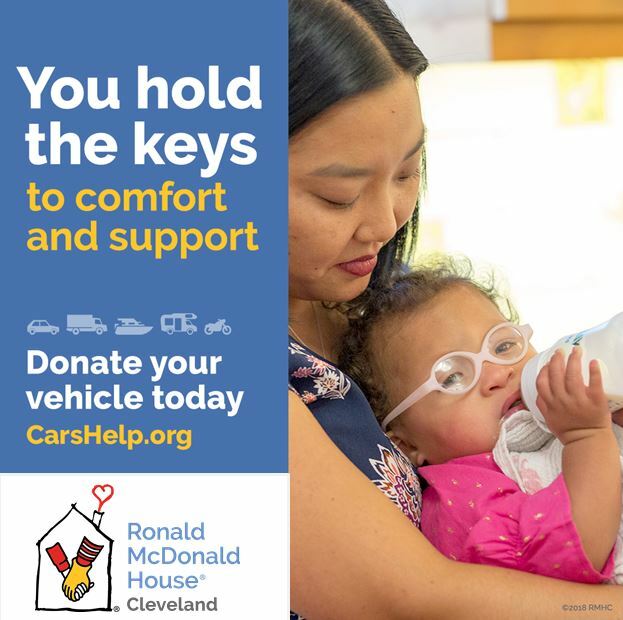 Through our partnership with the One Car One Difference program, your donated vehicle can help provide families a place to call home at the Ronald McDonald Houses in Cleveland, keeping them near their child receiving medical treatment. One Car One Difference is a national vehicle donation program operated by Insurance Auto Auctions (IAA). They sell donated vehicles at auction or recycle them and pass along the proceeds to charity. As a respected leader in the auto auction industry, IAA’s professionalism and expertise makes the donation process easy. They take care of all title and sale-related paperwork, and they’ll even pick up your vehicle at no charge. By donating your unneeded car, truck, boat, motorcycle, tractor or RV, you can make a difference in the lives of children and their families. Your charitable donation may qualify for a tax deduction. Please consult your tax advisor. Simple and secure, it’s a win-win for everyone. Call toll free: (855) 227-7435.